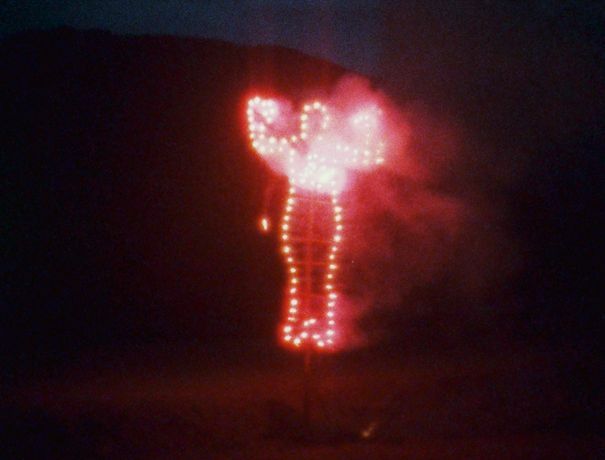 Burial Pyramid 1974 Ana Mendieta Super-8 movie. © The Estate of Ana Mendieta Collection, LLC. Courtesy Lelong Gallery & Co.
​The exhibition "Ana Mendieta" (Havana, 1948 - New York, 1985) is devoted to the film work of this Cuban artist. Bringing together some twenty or so films and a selection of photographs, the exhibition allows audiences to discover the greatest ensemble of the artist’s work ever presented in a single location. Ana Mendieta is widely considered one of the most talented and original artists of the post-war era. During her brief career, from 1971 to 1985, Ana Mendieta produced a remarkable body of work, including drawings, installations, performances, photographs and sculptures. Lesser known, her production of films and videos is particularly impressive and prolific: her 104 films produced between 1971 and 1981, make Ana Mendieta one of the leading figures in the practice of multidisciplinary visual arts.